Welcome to episode 4 of On The Rails With Erk. On this episode, Erk is on location in his home city in Sydney. Starting at Central station, there was a special train display for the Queen’s Birthday long weekend. There was a range of locomotives & carriages from the steam & diesel eras as well as steam train rides. Moving across to the suburban platforms, Erk takes you on a ride on a suburban train ride on a Waratah train from Central to Milsons Point which includes crossing the Sydney Harbour Bridge. Milsons Point has been selected as a trial location for new public transport signage. Returning to Central, Erk went on a hertiage train ride led by steam locomotive 3642 & diesel locomotive 4520 on the rear. Finally, Erk takes you on a railed ride with a difference – the Sydney Monorail. Due to various reasons, the monorail will stop operating on 30 June after 25 years of service between the Sydney CBD & Darling Harbour. Erk Pod 395 – Preparing To Leave Sydney Airport For The Second Time? Welcome to Erk Pod episode 395. Now that the Audioboo produced episodes have been completed, Erk now presents extended episodes recorded at various stages during his 2013 trip to America. These episodes have mostly different content than the Audioboo produced episodes which were a great summary of the events of the trip. This episode was recorded at Sydney International Airport prior to Erk leaving for LA, flying Virgin Australia. Not that Erk knew at the time he booked the flight but he picked the exact day where Virgin were switching computer systems. 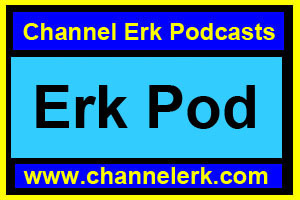 Erk Pod 376 – Erk Goes On A Country Train!